Eike-Henner Kluge claims the social outlook on health care has been raised by the advent of bioethics. Bioethics is the application of ethical principles and reasoning to health care practices. Of course this was done long before bioethics became an academic discipline, but not consistently and not in an unbiased manner; and it is very easy to slide from this to the conclusion that we didn’t really need bioethics, that we could have done just as well without it, and that in fact matters became worse after bioethics became a discipline. That is a factual claim, and the only way to settle factual claims is to present data. But before presenting some data, I want to point out that giving examples of where bioethics might have gone wrong or could have done better doesn’t show that we’re better off without bioethics or that it has done more harm than good. That’s simply bad logic. In defence of bioethics, I want to begin by pointing out two general facts: First, the social outlook on health care—its niveau, so to speak—has been raised by the advent of bioethics. The social view of health policy has moved away from considering it a commodity to considering it a right grounded in social justice. The start of this change was political, but bioethics made sure it stayed. Second, mere medical tradition is no longer the touchstone of what is right or wrong in health care. We may regret this, particularly as health care professionals because it was much easier the old way. But was the old way really better? Of course that doesn’t mean things are perfect and that bioethics couldn’t do better. But not-being-perfect is not the same as doing-more-harm-than-good. 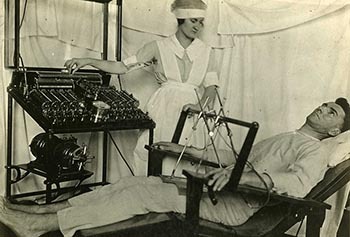 (1) Experimentation: Do I really need to go into the history—the abysmal history—of experimentation involving human subjects before the advent of bioethics? And please don’t say that the Nuremberg Code was drafted before bioethics became a discipline. That’s true—but it was bioethics that pointed out that the Code was flawed and had to be amended. It discriminated against the mentally disabled and incompetent elderly persons, and it ruled out research on children’s diseases. It also ignored the rights of collectivities, etc. Of course one could always reply that bioethics only complicated the issue without adding any benefits, and that the court of professional and public opinion would have been just as effective. But in reply I give you the Tuskegee experiment in the US and the chemical warfare experiments on soldiers in Canada, which were originally sanctioned by professional and public opinion alike. It was bioethics that changed that. (2) Consent and the professional-patient relationship: Do I really need to go into how it was bioethics that changed the paternalistic model of the physician-patient relationship to the fiduciary model? Do I have to rehearse how it was bioethics that led to the contemporary standard of informed consent? Standards of consent were not simply transferred from contract law and the commercial sector to health care because it was realised, for ethical reasons, that consent in health care is different. Or take the relationship between capacity, age and consent: It was bioethics that led to the realization that age is not an absolute determinant for the ability to give consent but capacity, and that capacity is context dependent. I need merely mention the issue of appropriate standards of disclosure and comprehension in health care decision making—or of substitute decision making—to remind everyone how bioethics changed the whole landscape. And do I really have to show how it was bioethics that led to the realisation that not all values are ethically acceptable in health care? For example female circumcision or withholding treatment from children for religious reasons? (3)Allocation of scarce resources: Here’s another example where bioethics has improved health care delivery. Social status and wealth no longer count as a valid criterion for deciding who gets scarce livers, kidneys, etc. Just because I am in jail doesn’t mean that I have no right to healthcare; and just because I’m a prostitute (or homeless) doesn’t mean that I should not get hospital care so that politicians and their friends—or the rich— can get first crack. (4) End-of-life and beginning-of-life issues: It was bioethics that changed end-of-life care from “pull-out-all-the-stops” and “do whatever the medical profession thinks is right” to taking the values of the patient into account. And if I may be so bold, it was bioethical reasoning that was cited by the Supreme Court in Morgentaler when it said that the evolving status of the fetus was a relevant consideration if Parliament wanted to draft a defensible abortion law. Bioethics has achieved these and other positive changes not simply with articles or books for bioethicists. It has done this, and is effective, because it teaches health care professionals how ethically to fulfil their roles as professionals, and it has raised the level of public understanding of ethical issues in the delivery of health care. It has raised the niveau of health care. And in doing so, bioethics has done something that disciplines rarely accomplish: It has changed social practice for the better. If that’s doing harm—if that’s doing more harm than good—I’ll have another helping. ← Is Down Syndrome Becoming an “Orphan” Condition?